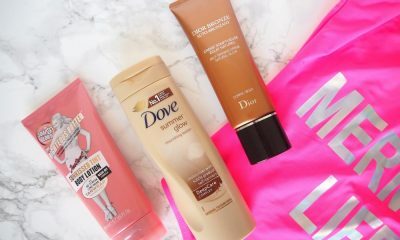 Investing in the right makeup remover is just as important to your daily beauty routine as purchasing the right makeup. Most importantly, you want to make sure that the makeup remover you buy efficiently cleans off all of your makeup to prevent clogged pores and breakouts, is gentle on the delicate skin on your face, and is not oily and does not leave a greasy residue on your skin. 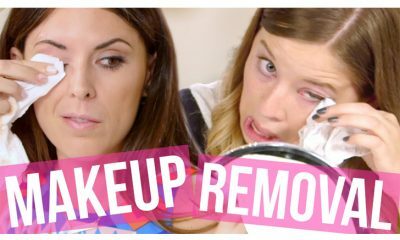 Finding a makeup remover that fits all of the criteria above can be a challenge. 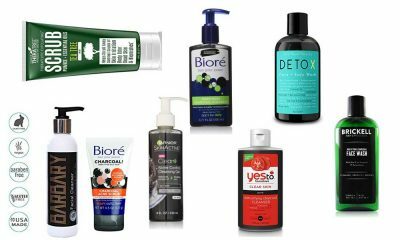 If you keep reading the following makeup removers reviews, however, you can learn about the top rated best makeup removers currently available to find one that works perfectly for you, your skin, and your beauty routine. Liquid makeup remover formulas are great, but they can be a challenge to use on the go and are often messy. 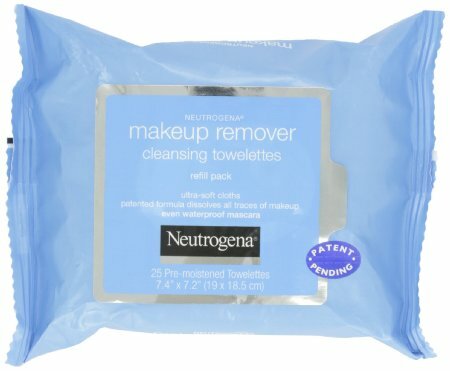 There’s no need to deal with the hassle of liquid makeup removers with these towelettes from Neutrogena, which remove more than ninety-nine percent of all makeup, including waterproof mascara, with just one towelette. Gentle and effective, these makeup removing towelettes can be used to remove eye makeup as well as skin makeup and are gentle enough to be used on the most delicate skin around your eyes without irritating it or drying it out. As a plus, these wipes remove dirt and oil from your skin as well and leave no residue behind, so you can use them to remove your makeup easily while on the go without worrying about washing your face. Ladies with sensitive skin know the challenges of trying to find a makeup remover that can effectively remove all traces of your makeup without causing angry red patches of irritation to crop up all over your face. 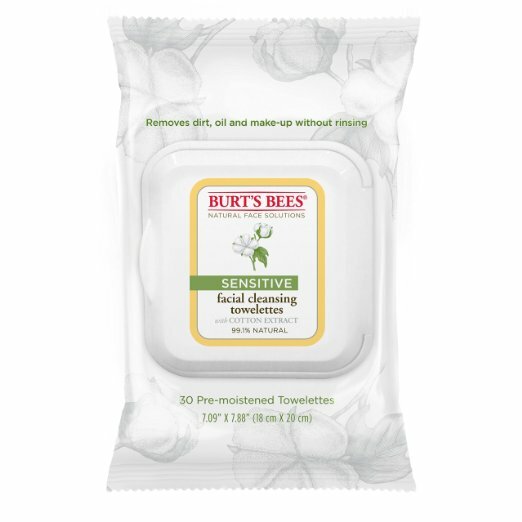 Free of any synthetic fragrances and formulated to be fully hypoallergenic, these makeup removing wipes from Burt’s Bees are designed specifically for use on the most sensitive skin. Infused with a blend of soothing natural ingredients including cotton extract, rice extract, and aloe, the wipes calm and nourish your skin while gently dissolving more than ninety-nine percent of your makeup. Acne-prone ladies will be glad to discover that there is a gentle, effective, easy makeup remover formula that comes straight from beloved skin cleansing company Clean & Clear. Most Clean & Clear products are designed to do exactly what their company name suggests: keep your skin clean and clear of breakouts and blemishes. These makeup removing wipes can help you accomplish this goal; their gentle formula penetrates deep into your pores to unclog them of any dirt, oil, and heavy makeup residue that might be lurking inside, leaving your skin feeling fresh and clean down to its very core. 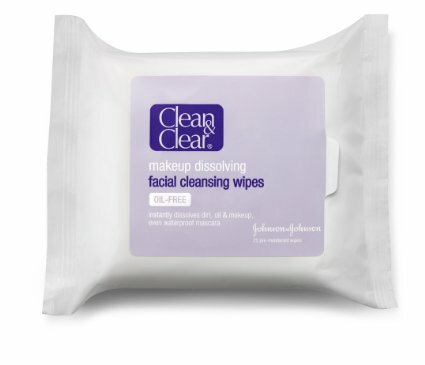 You don’t need to worry about these wipes contributing to your breakouts, either; they are completely free of any oils and leave no residue behind. Formulated for extremely sensitive skin that is irritated even by makeup remover formulas that are designed to be gentle, these makeup removing cloths can remove your makeup using only water or mild facial cleanser. 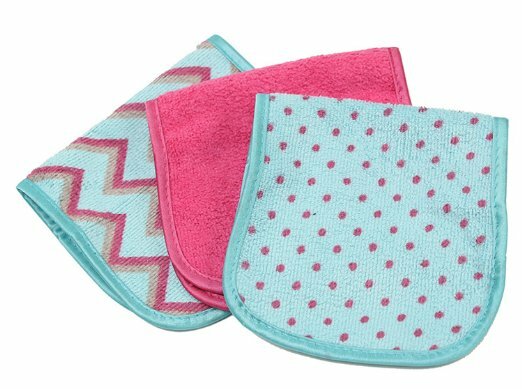 Made from a special, plush microfiber material, the cloths gently dissolve dirt, oil, and makeup residue from your skin to wipe it clean without the need for harsh makeup remover formulas. Plus, they’re easy on the environment and your bank account as well, as the durable cloths can be easily thrown into the washing machine to be reused time and time again. Sometimes, the most stubborn eyeliner or waterproof mascara needs something special, other than the makeup remover you use on your skin, to completely eliminate it from your eyes. 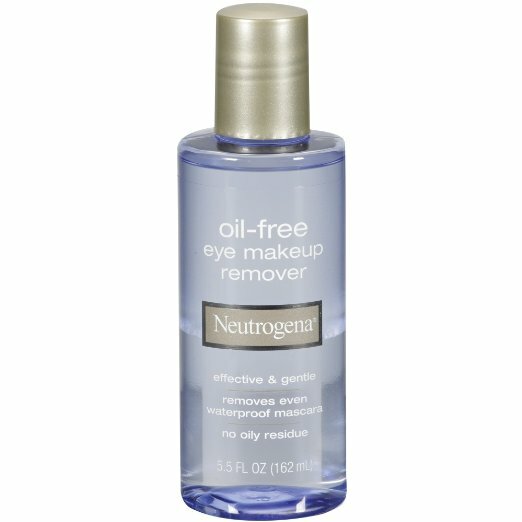 This liquid makeup remover from Neutrogena is designed specifically for eye makeup removal. Oil-free and non-greasy, the liquid formula is gentle on the delicate skin around your eyes and is safe for use by those who wear contact lenses. Ultra gentle but powerfully effective, this formula is designed to dissolve and remove all of your must stubborn eye makeup, without the need for painful rubbing and scrubbing, and leave no residue behind. You’ve just finished your perfect face of makeup, and you’re ready to leave the house. Maybe you better apply just one more coat of mascara to finish your look, and splat! A thick gob of black mascara slips onto the side of your nose. Makeup smears and mistakes are a natural part of the makeup application process, but they sure can be frustrating. There’s no need to start all over with your makeup when you make a mistake; use these special makeup remover sticks from Almay instead. Soaked in powerful, gentle liquid makeup remover that is infused with soothing and refreshing cucumber, green tea, and aloe, these makeup remover sticks have a thin, soft cotton head that can be used to swipe away accidental smudges of mascara, eyeliner, eyeshadow, or other eye makeup without disturbing the rest of your makeup. 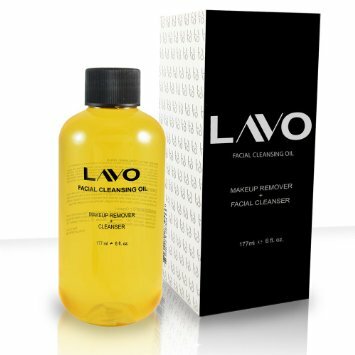 Natural and organic makeup remover that is also effective can be hard to come by, but this organic facial cleanser from LAVO does the trick. Lightweight and formulated without any parabens, oils, or harsh synthetic chemicals, the thin foaming liquid can remove any and all makeup from light BB cream to heavy stage makeup. Lightly scented with a refreshing citrus fragrance, this makeup remover won’t clog up your pores and will leave your skin feeling fresh, clean, and gently soothed. Most makeup removers can be extremely drying to your skin and can cause irritated red, rough patches of dryness. Such dryness is not the case with this special, cream formula makeup remover from Neutrogena. Gentle and formulated with soothing and conditioning aloe and cucumber extract, the makeup remover lotion is designed to remove even the most stubborn eye makeup and leave your skin feeling nourished and hydrated in the process. Micellar water is the next big thing in the realm of makeup remover. Lightweight and refreshing, micellar water cleansers such as this one from Garnier are designed to dissolve your makeup with a formula that feels as light as water and requires zero irritating rubbing or scrubbing to remove makeup from your skin. This micellar cleansing water uses special micellar technology to gently separate, dirt, oil, and makeup residue from your skin to leave it looking and feeling refreshed, hydrated, and clean. This is one of the best makeup removers for sensitive skin. Designed to combat easily irritated and allergic skin, this sensitive, gentle eye makeup remover soothes and conditions the sensitive skin around your eyes while dissolving stubborn, waterproof mascara, eyeliner, and other eye makeup. 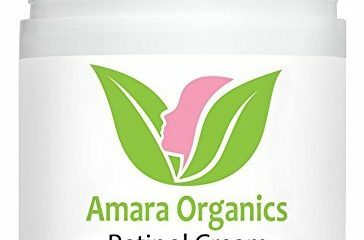 Free of oils and tested by ophthalmologists, this liquid eye makeup remover will not irritate the skin around your eyes or cause any allergic reactions with its gentle, refreshing blend of natural ingredients without drying out your skin or leaving it with a greasy residue. Makeup remover should be gentle, refreshing, and effective at ea removing all of your makeup from your face. 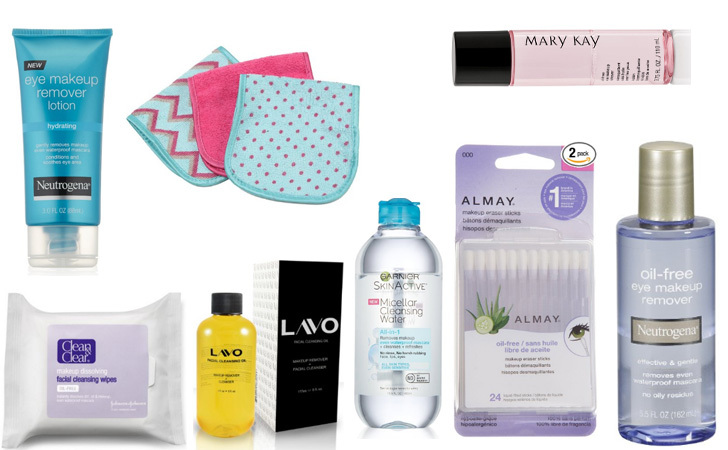 If you’re in the market for a new makeup remover, use the list in this post to find some of the best makeup removers that will get the important job of removing your makeup done quickly, gently, and effortlessly.